There is another side of this debate that may have relevance for many who threw in their comments about Gungahlin. Have you looked around your own suburb and observed some of the recent housing and apartment developments? You may notice a style of housing that bears some resemblance to the worse of what we have seen built in Gungahlin – and right across Australia in all manner of suburban areas – both new and old. Recently a Manuka resident maybe took things a little too far when they said that the ACT Government was turning their cherished suburb (Manuka/Forrest) into another Gungahlin. I suspect that putting aside the insult about Gungahlin, most people knew exactly what was meant. There are many houses now being built on blocks (houses demolished) in the Manuka / Forrest area that are pretty ordinary looking (if not ugly), are huge (when compared to the former) and have resulted in a reduction in the greenery possible on the site – and across the suburb. But this is not unique to the inner south of Canberra – it is happening in all the older and well-established areas – and again all across Australia. Only the other day I came around a corner in Campbell and had to stop and take in what was in front of us. There stood two amazingly large residences that had the few token plants around the edges (mostly ornamental grasses). As for what would have been part of the green infrastructure of the suburb, is now a potential heat island that must be chewing up heaps of energy during these warmer days. 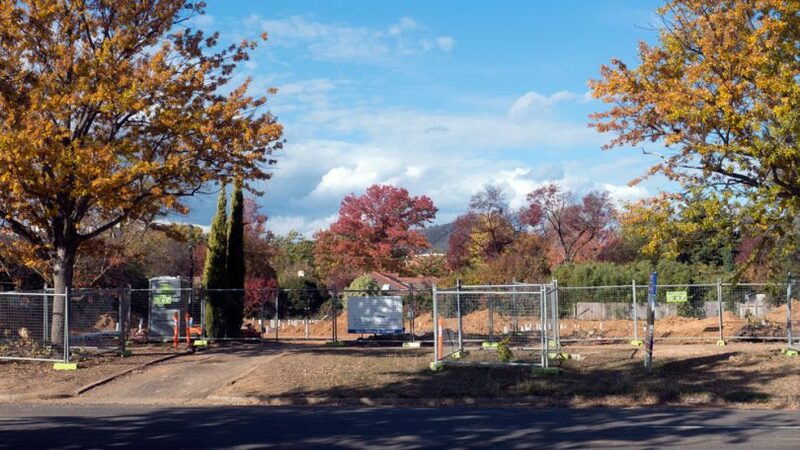 So where did we go wrong with preserving Canberra as a bush capital – as a garden city? Most voters are aware that this is happening and the message was clear at the last election. Or at least we thought it was clear. But – apparently not. After years of planning (or lack there of) being driven by the LDA agenda – sell anything and build anything and ignore the residents – the Chief Minister stated that he was taking actions. Sadly for the many residents with serious concerns about planning and development, he got it wrong. Yes he did away with the LDA. But was that going to provide a new approach to planning and development in both older and newer areas? Nope! We had big announcements for the new City Renewal Authority (bringing vibrancy to Northbourne, Civic and bit more). Apparently the second new agency, the Urban Development Authority, has come into being but will do land sales only. And the rest? Being the suburbs where we all live. No problems there apparently. It is business as usual. A bad sign being that the level of statements by residents groups on planning and development have not reduced. The issues remain unaddressed. There is no discernable change of culture within our government to how our suburbs are being redeveloped. Take what has been just announced for the now infamous Manuka Oval site. Yet again we see all manner of spin being used to justify why the ACT Planning Minister used his ‘call-in’ powers (again) to approve what may or may not be an appropriate building on the site. “Call-in’ powers are those being used to circumvent the full DA process and therefore diminishes community engagement. Nope! No changes there! Just more of the same spin. Why does any part of the government really think anyone believes all that rubbish written by their ‘communication’ branches. Spin doctors for short. As for the rest of our garden city, what has happened in many parts of Gungahlin is incrementally being allowed to change the amenity, the greenery and the ambience of our established suburbs. So when people have jumped on board to criticize what has happened – and is still happening – in Gungahlin, have a thought that maybe you need to pay attention to what is happening closer to home. And please! Do not bring up the old rubbish that those who oppose this bad design and ad hoc planning regime are somehow opposed to development and do not want more residences built in their suburban areas. Most residents have embraced the fact that things change. It has been so for a long time. Over the last decades there are been a continuous increase in the number of houses, units, town houses, apartments etc. What the government continues to not want to deal with is that people care for how their suburb will look in the future and how their children may not be able to enjoy the suburban ambiences that the present residents have had the privilege to enjoy. 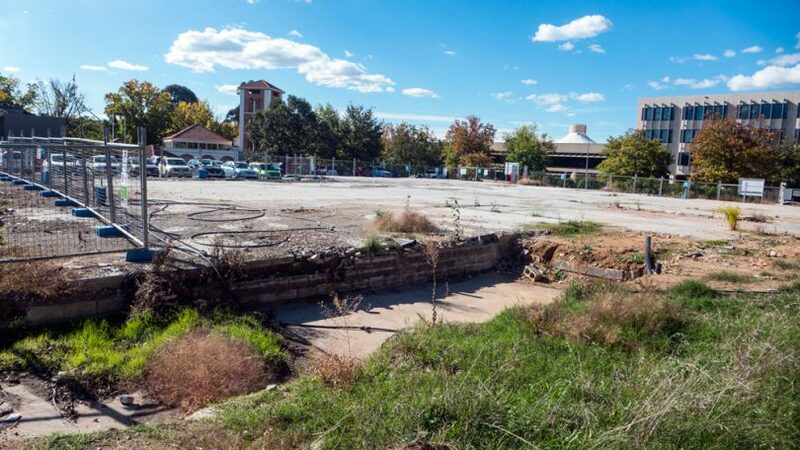 People in older suburbs, including that spokesperson in Manuka, do not want the worst of Gungahlin to continue to incrementally destroy the joint. Maybe instead of spending a huge amount of taxpayers’ funds on the stadium at Manuka (is there a stadium disease at the moment? ), the ACT Government could invest in its own planning directorate and boost the specialist expertise. Anything would be better than the present ad hoc approach. Surely a ‘planned’ city that has a well resourced and highly skilled planning directorate – with good leadership – would not allow this trashing of the suburbs to continue. Sadly it looks as though the same topics, being good design, suburban planning, biodiversity, climate effects in the urban areas, and the preservation of the city we love, are to be election issues next time.